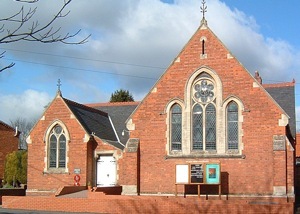 Welcome to Wragby Methodist Church. On Sundays we meet at 10.30 am for worship with tea or coffeee after the service when all are welcome to share fellowship with each other. The name of the preacher appointed for each Sunday can be found on the circuit plan on this website. Why not come along and see what we get up to. Our COFFEE MORNINGS continue on the 2nd Friday of each month from 10.00 am to 11.30 am. Why not visit us on your way through Wragby? Meets on the Third Friday of each month at 7. 00 p.m. unless stated otherwise. There is no membership requirement and visitors are always welcome.